Pobalscoil Neasáin,Moyclare Road, Baldoyle, Dublin 13,Get all your School News, Events at one place. 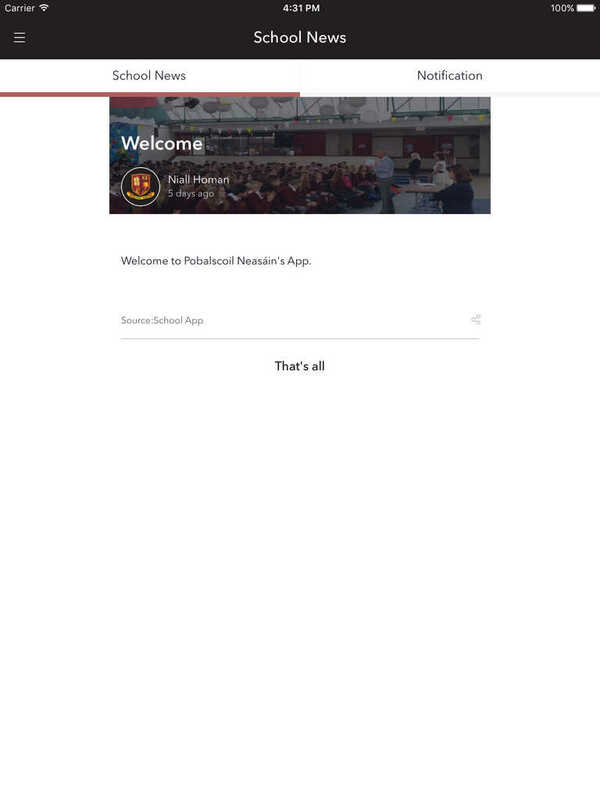 This app provides information about "code of conduct" of your school. You can also contact school administration through this app.